Inexpensively create and widely distribute your message. 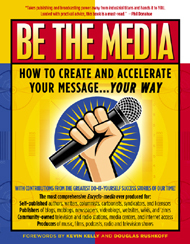 A primary text for media production, literacy, & education courses. Enable people-powered, community-based, participatory media. Forewords by Kevin Kelly and Douglas Rushkoff, articles and chapters by Alex Mandossian, Robert Greenwald, Craig Newmark, Doc Searls, FreePress.net, Sesame Workshop, Prometheus Radio Project, Creative Commons, Media-Alliance.org, National Wildlife Federation, and many more! Until recently, publishing books, music and film required years of education and the expensive assistance of publishers, labels, studios, distributors and lawyers. Today, artists can leverage low-cost tools and new methods of distribution to connect with their audience directly, and keep more of their royalties and rights. Learn all about blog software (hosted, remote and local), newsreaders, posts, links, comments, mobile blogging (moblogs), Google AdSense, RSS syndication, Technorati, Feedburner, blog directories and search engines. Everything you need to know about self-publishing and promoting your book. This chapter teaches a simple method to learn piano, guitar and harmonica. Everything you need to know about creating a podcast and promoting it through directories, affiliates, and blogs. Learn about Podsafe music, ID3 tags, and syndication. Learn how to create, promote, and self-syndicate your radio program to a national audience. Learn how to create a program clock, info kits, demo CDs, one-sheets, barter advertising, and attracting affiliates. Internet Radio (Live365, Pandora, SHOUTcast), Skypecasts, Satellite Radio. Promote your video using Internet TV, videoblogs, YouTube, Bittorrent and IPTV. How to grow your audience and revenues by leveraging offline and online syndication. Learn all about online and offline licensing for film, publishing, gaming, interactive, and music. Ringtones, wallpaper, images, property types, product categories, publicity rights. Everything you need to know to be a self-publisher. Featuring: Anne Elizabeth Moore, Best American Comics; Punk Planet; Hey Kidz, Buy This Book! Learn how communities throughout the US are taking back their publicly owned airwaves and rights-of-way, through the use of community news agencies, media centers, radio & TV stations, and community broadband initiatives. Participatory Media, Online Community Newspapers, and Citizen Journalism. Learn how to create a successful participatory media community, and the opportunities and risks of citizen journalism. Optimize your strategies for staffing, content, editorial, revenue, and marketing. 15. Social Networks: How to Stay in Touch with your 1,000 True Fans. Learn how to attract a larger audience, create virtual communities of interest, and promote your work using services such as Second Life, MySpace, Friendster, Facebook and LinkedIn. Learn how to create and distribute a public access cable TV program. Read and publish news about your local community and virtual community of interest. Covers grassroots community media advocacy and federal, state and local media policy. Doc Searls: Making a New World. This excerpt previously appeared in "Open Sources 2.0." Reprinted by permission from O'Reilly Media. Both parts in one book, for one low price! Kevin Kelly is Senior Maverick and Editor-at-Large for Wired magazine. 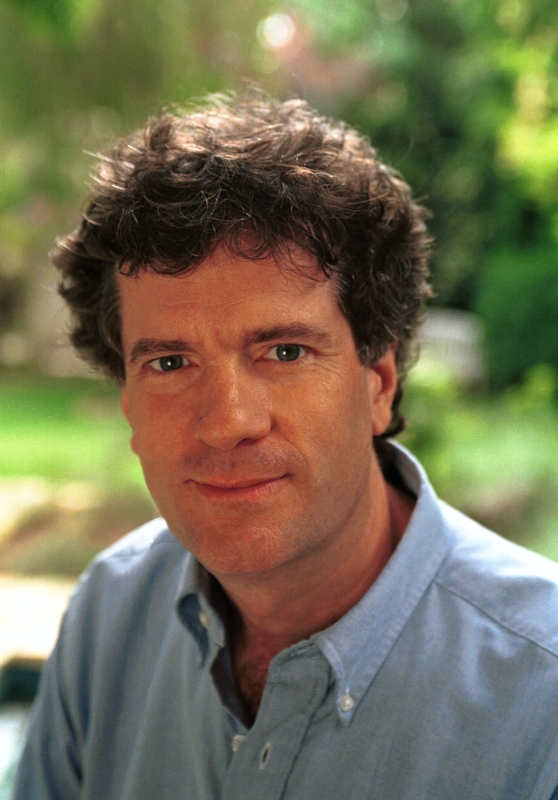 He helped launch Wired in 1993, and served as its Executive Editor until January 1999. He is currently editor and publisher of the Cool Tools website, which gets 1 million visitors per month. 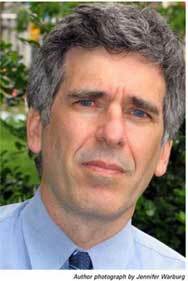 From 1984-1990 Kelly was publisher and editor of the Whole Earth Review, a journal of unorthodox technical news. Kelly also conceived and oversaw the publication of four versions of the Whole Earth Catalogs, compendiums evaluating the best "tools" available for self-education. The kinds of tools reviewed included hardware, power tools, books, and software -- anything that leverages power to individuals. Over a million Whole Earth Catalogs have been sold. Kelly co-founded the ongoing Hackers' Conference, and was involved with the launch of the WELL, a pioneering online service started in 1985. He authored the best-selling New Rules for the New Economy and the classic book on decentralized emergent systems, Out of Control. 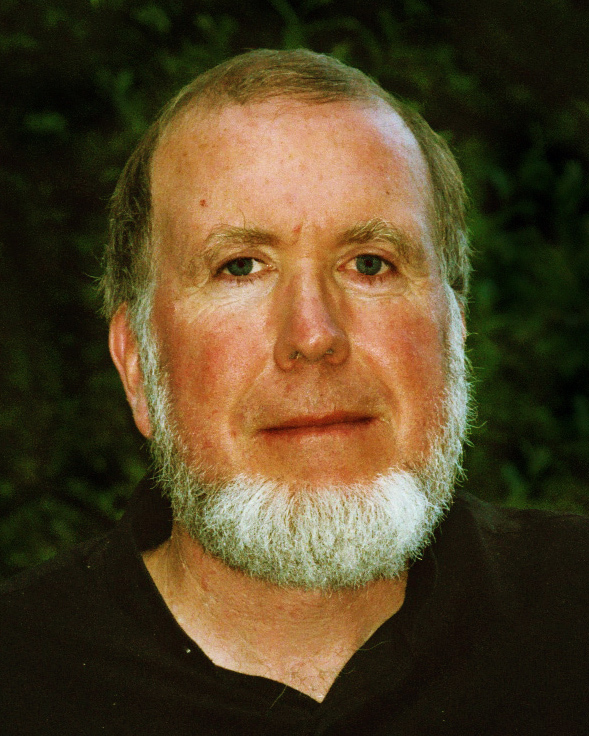 Kevin Kelly's writing has appeared in many national and international publications such as the New York Times, The Economist, Time, Harpers, Science, GQ, and Esquire. Before taking up the consequences of technology, Kelly was a nomadic photojournalist. One summer he rode a bicycle 5,000 miles across America. For most of the 1970s he was a photographer in remote parts of Asia. His photographs have appeared in LIFE and other national magazines. Kelly is a member of the Global Business Network, a consulting group that specializes in creating scenarios of the future for global businesses. He is a Fellow at the Center for Business Innovation, and serves on the Board of Directors at the SEI Center for Advanced Studies in Management at The Wharton School, University of Pennsylvania. Kelly is a member of the board of The Long Now Foundation, a group of concerned individuals building a clock and library that will last 10,000 years. His current passion is a campaign to make a full inventory of all living species on earth, called the All Species Inventory. Dan Poynter is widely known as "Mr. Self-Publishing." He has written more than 100 books since 1969, including Writing Nonfiction and The Self-Publishing Manual (15th Edition). 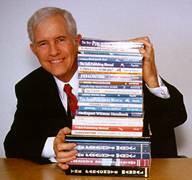 Dan has sold millions of his books, including several best sellers, for ten of millions of dollars in sales. He was often billed as the world's largest one-person publishing company. As a one-man show, an author/publisher who handled all the writing, publishing and promotion, office management and shipping himself, he is in the best position to advise first time self-publishing authors on a limited budget. Since 1991, Alex Mandossian has generated over $233 million in sales and profits for his clients and partners via “electronic marketing” media such as TV Infomercials, online catalogs, 24-hour recorded messages, voice/fax broadcasting, Teleseminars, Webinars, Podcasts and Internet Marketing. He has hosted teleseminars with many of the world’s top thought leaders such as Mark Victor Hansen, Jack Canfield, Stephen Covey, Les Brown, David Allen, Vic Conant, Brian Tracy, David Bach, Harvey Mackay, Robert Cialdini, Harv Eker, Bobbi De Porter, Michael Masterson, Joe Vitale, Gay and Katie Hendricks, Bob Proctor, and many others. Alex has personally consulted Dale Carnegie Training, NYU, 1ShoppingCart Corp., Mutuals.com, Pinnacle Care, Strategic Coach, Trim Spa and many others. He has trained over 8,300 teleseminar students since 2002 and claims that practically any entrepreneur can transform their annual income into a weekly income once they apply his principle-centered electronic marketing strategies. (KEY POINT: Alex’s 2001 annual income became an hourly income by 2006 and he has tripled his days off). He is the CEO of Heritage House Publishing, Inc. – a boutique electronic marketing and publishing company that “repurposes” written and spoken educational content for worldwide distribution. 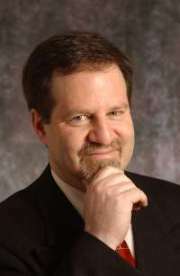 He is also the founder of the Electronic Marketing Institute. Peter Broderick is President of Paradigm Consulting, which provides consulting services to filmmakers and media companies. He was founder and President of Next Wave Films, which helped launch the careers of exceptionally talented filmmakers from the U.S. and abroad. A company of the Independent Film Channel, Next Wave supplied finishing funds and other vital support to filmmakers, and financed digital features through its production arm--Agenda 2000. Jaime Berman Matyas is the Executive Vice President and Chief Operating Officer of the National Wildlife Federation (NWF), founded in 1936 as a nationwide federation of grassroots conservation activists. It is the largest private, nonprofit conservation education and advocacy organization in the US. Adam Souzis is the co-founder of StyleMob (www.stylemob.com), a new community for street fashion inspiration. Stylemob's mission is to create a place for real people to have a say about fashion. Mr. Souzis was co-founder and CTO of content distribution software company Kinecta Corporation. Kinecta was acquired by Stellent Inc, a provider of enterprise content management solutions with over 4,400 customers, including much of the Global 2000. In November 2006, Stellent was acquired by Oracle for $440 million. For the last decade Adam has been creating new internet technology for startups such as General Magic, NetObjects, and Stellent. Mr. Souzis has been involved with numerous XML and RDF standards efforts and is a co-author of the ICE (Internet Content Exchange) web service standard. Adam has provided a prototype of his semantic wiki to BE THE MEDIA, which can be accessed by clicking on the 'WIKI' bar in the navigation column to the left, or by clicking here. 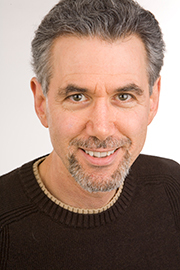 David Mathison is a media consultant, speaker, author, publisher, and hi-tech entrepreneur. He an internationally recognized media expert with more than 20 years experience in content distribution and management. Since 2001, he has been Chairman and CEO of the Natural E Creative Group, a diversified media company with properties in print, broadcast, interactive, and licensed goods. 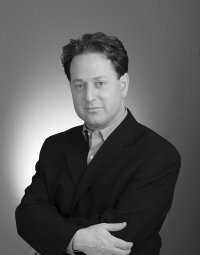 From 1999-2001, Mathison was CEO and co-founder of the Kinecta Corporation, creator of Interact, a leading-edge platform for content syndication. Some of the world's largest publishers used Kinecta Interact to directly connect with their audiences. Customers include respected, trusted, global companies such as Reuters Ltd, the Financial Times, the Economist, Red Herring, Fidelity, MSN, AOL, and Yahoo! among many others. Kinecta was acquired in 2002 by Stellent Inc, a provider of enterprise content management solutions with over 4,400 customers, including much of the Global 2000. In November 2006, Stellent was acquired by Oracle for $440 million. From 1994-1999, Mathison was Vice President with Reuters, where he led the development of innovative syndication technology that delivered Reuter's financial data, stock quotes, headlines, audio, video and multimedia news to customers over the Internet. His legacy provides millions of global citizens with free news, financial data, audio and video information on the web's most popular sites. Rachele is author of The Student Newspaper Survival Guide, a book designed to help college students produce great campus newspapers. Before becoming an academic, she was a newspaper reporter for 15 years, working at The Oakland Tribune, the Contra Costa Times, and The News and Observer of Raleigh, NC. She was also a freelance correspondent for TIME. Katharine Swan recently retired from teaching English and journalism in San Francisco. For 25 years she taught at Mission High, an under-performing inner-city school. Her students demonstrated that they "understood and enshrined the values of the First Amendment and the pursuit of journalistic truth." When they won the first Edmund J. Sullivan Award from Columbia Scholastic Press Association and were offered the Hugh Hefner First Amendment Award along with numerous others, she was no longer welcome to teach at the school. Executive Director since 1993, Susan is responsible for the day-to-day operations of CCTV, and developing a long-range vision for the organization. Her goal has been to diversify CCTV's funding base and activities, in order to provide access to different media and technologies for everyone in Cambridge. Under her stewardship, CCTV moved into Central Square in 1995, and opened one of the first computer labs located in a public access center in 1996. The Drive-by-Gallery opened in 1999, to provide another venue for Cambridge artists to exhibit. CCTV won the "Overall Excellence in Public Access Programming" award in the Hometown Video Festival for 6 years in a row. The award is sponsored by the national Alliance for Community Media. OMM HD is a High Definition (HD) audio/video post production facility, studio, and laboratory co-founded by Jeff Mersman, Merlin Owens and Michael Mallon. The mission of OMM HD is to provide a virtual platform that enables the design and production of industry-standard HD content by and for independent media makers. 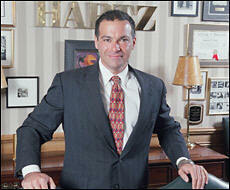 Jeff Mersman has a career background and holds a Bachelors of Science degree in health care finance. Mersman worked for 3 years in private practice, and over 10 years with a major corporate healthcare provider. As founding partner and CFO of OMM HD, Mersman is able to combine his finance and entrepreneurial experience with his primary passions - piano and songwriting. Merlin Owens worked for Boeing Engineering 767 Wide Body Division, utilizing Boeing’s first Computer Aided Design programs. The 767 was the first commercial aircraft designed almost entirely by computers. In 1981, Merlin resigned from Boeing to join Stevie Wonder’s production group, The MYX. A professional musician since age sixteen, Merlin moved to LA and began working with the latest musical wizardry at Wonderland Studios, where he collaborated with some of the brightest stars in entertainment, music and technology. Merlin stayed for eleven years, one of Stevie Wonder’s most creative periods, and Merlin was in the studio during the first coast-to-coast satellite simulcast recording session between Astoria Studios in New York and Wonderland Studios in LA. After his tenure with The MYX, Stevie Wonder recruited Merlin as a production executive in his new communications endeavor to develop and produce television, film and special events. In December 1996, Merlin was executive in charge of a Stevie Wonder-Nelson Mandela celebrity golf event to benefit the South African President’s Nelson Mandela Children’s Fund. For the event, Merlin worked with world-class golfers, celebrities, and various ministries and liaisons from the Office of the President of South Africa. Merlin subsequently founded East West TeleMedia, International, where he forged alliances with ATMlink, Inc., Digital Equipment Corp. and Thompson CSF, which designed and built the Palo Alto Internet Exchange in Palo Alto, CA and the MultiMedia Super Corridor and Internet Exchange in Kuala Lumpur, Malaysia. Merlin designed a network topology for a proposed South African MultiMedia Super Corridor and Internet Exchange, and presented it to the Office of the President of South Africa. 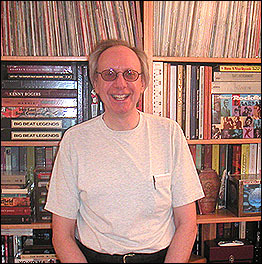 Barry Bergman: Veteran manager, music publisher, speaker and consultant Barry Bergman is the founder and president of the Music Managers Forum in the United States. An outspoken advocate on artist rights, he has testified on Capitol Hill serving the interests of artists. 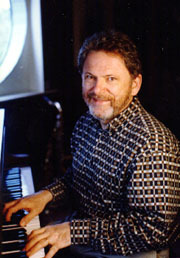 Barry has published more than 150 songs recorded by various artists including Michael Bolton, Cher, Kiss, Joan Jett and others. Three of Barry's biggest hit singles were Don't Shed A Tear‚ recorded by Paul Carrack on Chrysalis, Don't Close Your Eyes‚ by Kix on Atlantic and Kathy Mattea's‚ Love Travels on Mercury. The International Managers Forum-US (IMF-US, subsequently the Music Managers Forum-US) lobbied lawmakers to pass HR 1506 “Digital Performance Right in Sound Recordings Act of 1995.” On June 28, 1995, Mr. Bergman testified in Congress to try to secure performance rights for artists and managers for future digital transmissions. In 1999, the MMF-US and several artist rights groups helped roll back a provision inserted by the RIAA into the Satellite Home Viewer Improvement Act of 1999, whereby SoundRecordings were made works-for-hire, and artists lost their rights to reclaim ownership of their master recordings beginning in 2013. In November 2001, after six years of work, Barry signed on behalf of the MMF-US a landmark agreement with SoundExchange, the major labels, and artist groups to pay artist performance royalties directly to performers. 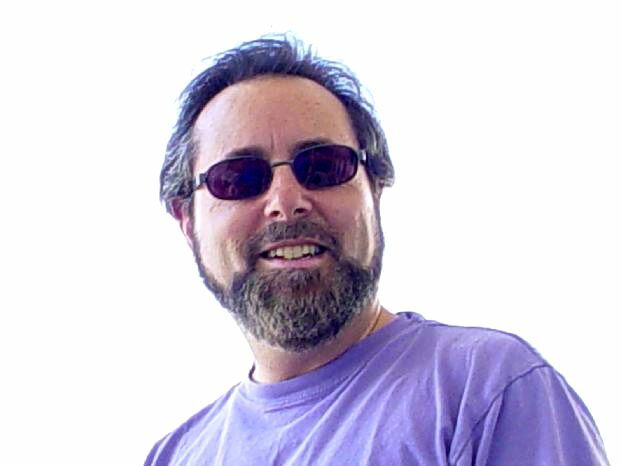 Craig is a senior Web-oriented software engineer, with around twenty-five years of experience (including 18 years at IBM), and has become a leader in online community by virtue of his efforts at craigslist over the past 10 years. He's compiled extensive experience evangelizing, leading and building, including work at Bank of America and Charles Schwab. In 1995, he started craigslist which serves as a non-commercial community bulletin board with classifieds and discussion forums. Using a common sense, down-to-earth approach, craigslist strives to make the 'net more personal and authentic, while advocating social responsibility through the promotion of small, non-profit organizations. Craig's community activities include being on the advisory boards of Climate Theatre and Haight-Ashbury Food Program as well as supporting local writers through Grotto Nights. Craig has been featured in the Associated Press, the Wall Street Journal, the New York Times, Los Angeles Times, USA Today, Business Week, Time Magazine, and Esquire Magazine. 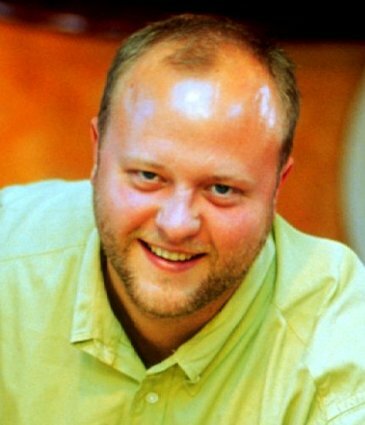 Sascha Meinrath has been described as a "Community Internet Pioneer" and is a well-known expert on Community Wireless Networks (CWNs) and Municipal Broadband. He is the co-founder and Project Coordinator of the Champaign-Urbana Community Wireless Network (CUWiN), one of the world's leading open-source, ad-hoc mesh wireless projects. Sascha is a policy analyst for Free Press, a Washington, DC-based think-tank, and regularly briefs Federal Communications Commission and Congressional staff on issues related to CWNs. In 2004, Sascha organized the First National Summit for Community Wireless Networks, helping to launch what has now become known as the Community/Municipal Wireless Networking Movement; and, in 2006 organized the Second National Summit for Community Wireless Networks. 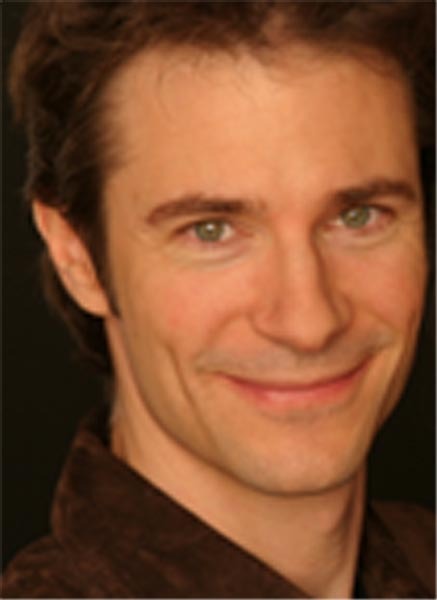 Sascha completed his undergraduate degree at Yale University and his Masters degree in Psychology at the University of Illinois, Urbana-Champaign. He is currently finishing his PhD at the University of Illinois, Institute for Communications Research, where he is a Telecommunications Fellow. Sascha's research focuses on community empowerment and the impacts of participatory media, communications infrastructures and emergent technologies. 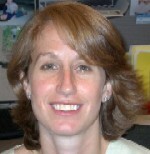 Dorothy Kidd is Chair and Associate Professor in the Department of Media Studies at the University of San Francisco. She received her Ph.D. in Communication from Simon Fraser University. Professor Kidd has published in the area of political economy of media, media and social change and community media. She has also worked extensively in community radio production. Her areas of interest include democratic and participatory communications, media and globalization. Alison Owings is the author of Hey, Waitress! The USA from the Other Side of the Tray (University of California Press, 2002), and Frauen - German Women Recall the Third Reich - a New York Times "Notable" Book of the Year (Rutgers University Press, 1993; UK Penguin, 1995; Mursia-Italy, 1997; Ullstein-Germany, 1999). Ms. Owings co-wrote 28 of the 50 America 24/7 state books (published October 2004). In 2002, she co-wrote Vertical Frontier, a documentary about rock climbing in Yosemite National Park. Her book reviews and op-ed articles have been published in the San Francisco Chronicle, New York Times Book Review, San Jose Mercury News, Newsday, Chicago Tribune, (former) SF Examiner, Marin (Ca.) Independent Journal, and Art and Antiques. 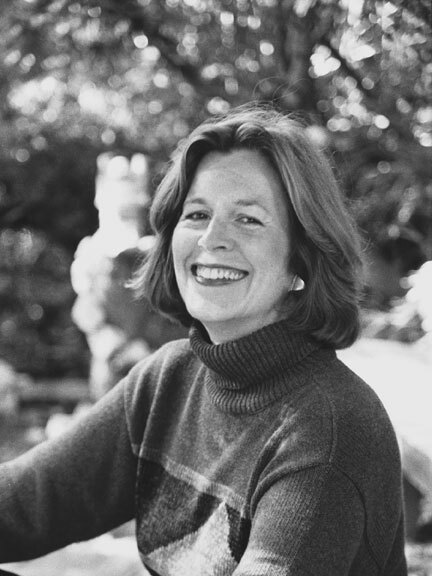 From 1977-1999, Alison wrote freelance television news for the The CBS Evening News with Dan Rather, Sunday Morning with Charles Kuralt, NBC Nightly News with Tom Brokaw, and for KTVU and KPIX in the San Francisco area. From 1973-1977, Ms. Owings wrote exclusively for CBS-TV network news broadcasts, including The Evening News with Walter Cronkite, the Weekend News with Dan Rather, Bob Schieffer, Ed Bradley, and The CBS Morning News with Hughes Rudd. Ms. Owings won the prestigious John J. McCloy Fellowship from the American Council on Germany with Columbia University, as well as writing grants in 2006 and 2001 from the Marin (Ca.) Arts Council. She graduated from American University in Washington, DC with a BA in Journalism. She also studied at Freiburg University, Germany. In addition to freelance writing and editing, she operates a small oral history business, and is currently writing a book whose working title is Listening to Native Americans. Arthur Do is an information technology pioneer with more than 15 years experience in Internet software design and development, including leading the team that designed and developed the first commercially successful web browser, WebSurfer for NetManage Inc. He is currently co-founder and Chief Technology Officer for Fortify Software. Fortify secures software applications from the inside-out, protecting business critical applications from malicious attack. Fortify is backed by a world-class team of software security advisors including Cigital Inc., the internationally recognized experts in software security, reliability, and performance. Fortify is funded by leading venture capital investor Kleiner Perkins Caufield Byers, along with investors such as Sun Microsystems Inc. co-founder Bill Joy. 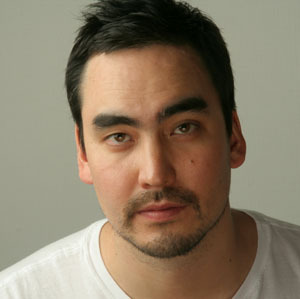 Prior to Fortify, Do was Chief Technology Officer and co-founder of the Kinecta Corporation. Do managed the creation of the company's multiple award-winning syndication and aggregation technology, Kinecta Interact, as well as his patent-pending content tracking application, Content Metrics (Application # 09/643,083 Tracking and Recording Techniques for Online Content). Kinecta was acquired by Stellent Inc, a provider of enterprise content management solutions with over 4,400 customers, including much of the Global 2000. In November 2006, Stellent was acquired by Oracle for $440 million. Early in his career, Do worked with high-tech industry giants such as Sun Microsystems, Hewlett-Packard Laboratories, and Digital Equipment Corporation. Do holds a B.S. in Computer Science from the University of California at San Diego and an M.S. in Computer Science from Stanford University. Steven Ekstract is a founder and the publisher of License! magazine, the leading business publication for the licensing industry. Ekstract is a seasoned publishing executive, having held senior management positions with VideoPro, Video Review and Previews magazines; Premiere magazine and The Hollywood Reporter before founding License! in 1998. Ekstract is a recipient of The UJA Federation’s Licensing Industry leadership award; Advanstar Communications Chairman’s Award as well as the Advanstar Communications Chairman’s award. He is a member of the United States Tae Kwon Do Association and formerly was a black belt instructor of Tae Kwon Do. The songs of Bonnie Hayes have always been extraordinary, from "Shelly's Boyfriend", the post-punk badgirl anthem that put her on the map to the authentic passion of "Have A Heart" and "Love Letter," which restored Bonnie Raitt to superstardom with the multi-platinum, multi-Grammy-winning CD Nick of Time. Writing for artists as diverse as Bette Midler, Robert Cray, Adam Ant, David Crosby, Booker T and the MG's, and Cher, Hayes has continued to craft songs one critic described as "sparkling clockwork mechanisms with a tendency to do the unexpected." 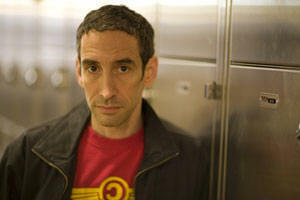 Hayes has also enjoyed success as a recording artist and producer. In 1984, her pop/punk debut Good Clean Fun was released on seminal LA indie Slash Records to critical raves and national college airplay. In 1995, the Hayes-produced CD Steppin' Out by the Gospel Hummingbirds was nominated for a Grammy. Jenny Toomey is the Executive Director of the Future of Music Coalition. She is also an intellectual, an activist and a musician. After graduating from Georgetown University with an interdisciplinary major in Philosophy, English and Women's Studies in 1990, Jenny co-ran Simple Machines, an independent record label for eight years with Future of Music board member Kristin Thomson. Simple Machines had over 70 releases, the most important of which may have been a 24 page Mechanic's Guide to Putting Out Records which clearly and practically described the process of putting out records and CDs, while educating young artists about the value of retaining control of their work. This guide helped to launch a countless number of independent labels and led to somewhat of a DIY renaissance in the alternative music community throughout the 1990s. In the past 15 years Jenny has been a composer and performer on at least 12 CDs and dozens of compilation records, singles, and even a musical! These records were released both on Simple Machines and other respected independent labels including Homestead, Sub Pop and 4AD. Her second solo CD, Tempting, was released October 2002 on Misra Records. After closing down Simple Machines in 1998 Jenny worked for three years at the Washington Post as a copywriter. She also wrote music and technology reviews for the Post, Village Voice, CNET and a variety of other music and technology publications. Here she began to understand the potential power of technology to transform the lives of musicians. This fascination with technology, when combined with her work organizing musicians to support the FCC's Low Power Radio initiative, led her to join with Kristin Thomson and Insound.com to create an online forum called The Machine in December 1999. At this site Kristin and Jenny began the process of educating themselves and other musicians about the music/tech landscape. They also began to raise critical questions regarding the artist's role in the unfolding technological revolution. After publishing an op-ed piece in the Washington Post, Jenny pulled together a board that wrote and published the Future of Music Manifesto, thus leading to the formation of the organization in June 2000. In the past two years Jenny has spoken about music and technology at Harvard, MIT, Columbia's American Assembly, South By Southwest, CMJ, Comdex, University of Chicago, Temple University, NARM Convention, CNN International, Tech TV, London's Net Media, Manchester's In The City conference and on NPR. In March 2001 she was named one of Internet Weekly's "25 Unsung Heroes of the Web" and more recently received a special achievement award from the Washington Area Music Association for her activism. If you came to this site through one of our Affiliates and ultimately buy a book, BE THE MEDIA will donate 40% of sales revenues to your cause. For every book purchase, almost $14 PER BOOK goes to YOUR cause. To complete your transaction and donation, just click the "Add to Cart" button below, or any "Add to Cart" button on this site. Your cause will get credited for the referral, and a commission for the sale. 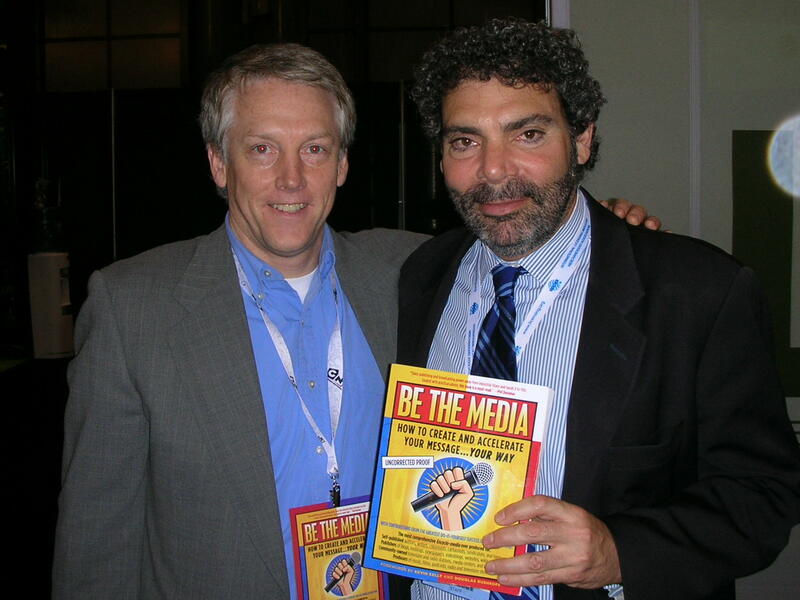 To earn passive cash for your organization, join the BE THE MEDIA Affiliate program.